Media: Each is hardback with colour dust jacket; 303mm x 226mm in portrait format; each book approx. 220-230 pages; over 300 photographs in each Volume (including colour photos); many line drawings; beautiful colour profiles.. Advantages: A genuine opus on the Me 262 from conception to post-war evaluation; packed full of photos, colour art and technical drawings; fascinating background information on personalities and relevant contemporary events. Disadvantages: Expensive to purchase in one package; no common index for all four books. Classic Publications four-volume "Me 262" series by J. Richard Smith & Eddie J. Creek is a magnificent opus covering this famous jet aircraft from conception to post-war evaluation and everything in between. All four books are impeccably presented in hard cover under this publisher's signature grey dust jacket. The large-format pages are heavyweight and have a pleasing satin finish. Each book contains between 220 and 230 pages packed with more than 300 photos plus beautiful colour artwork by Tom Tullis, technical diagrams and other drawings. The books also feature foldout pages (for large plans and diagrams) and wartime colour photographs. Despite the sheer bulk of the books, the text is very readable. The narrative is also regularly interspersed with personal accounts, pictures and other diversions. This level of variety is welcome, but does not detract from the story. Indeed, the photographs and artwork have been carefully selected to enhance the text. If this series has one disadvantage, it is the absence of a common index for all four volumes. I did find that a few aircraft and events were spread across several volumes, and a common index might have simplified the task of cross-referencing. 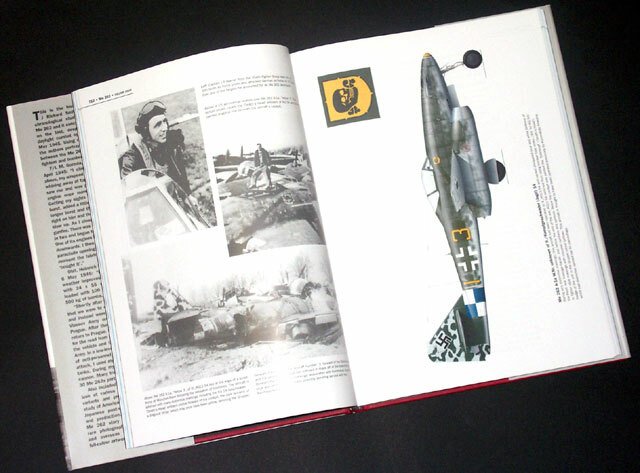 The 882 large, glossy pages across the four volumes of Classic Publications' "Me 262" are very successful at tackling the whole story of the Messerschmitt Me 262. I have been through each volume in detail while researching my own book on Me 262 camouflage and markings last year, and they were without doubt the most useful reference source on the Me 262 available. Each volume stands on its own in terms of chronology and specific subjects, but the four books together represent an unbeatable reference for the history, technology and colours of the Messerschmitt Me 262. The only problem with the series is that it will cost around USD$200 to own all four. Even so, I shudder to imagine what price the full series will fetch at auction when they are out of print! 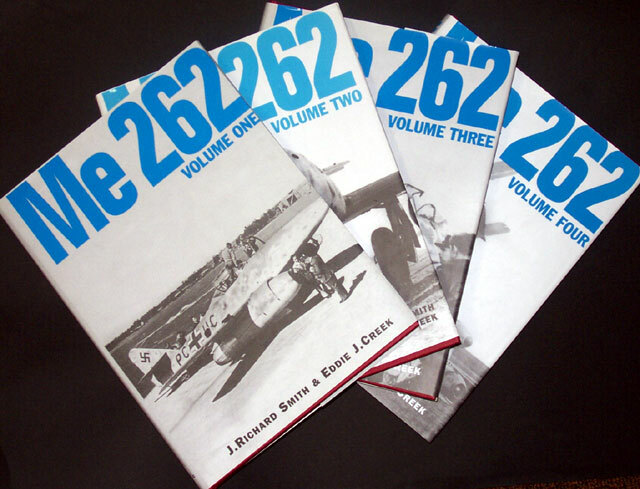 Whether you consider these books are a financial investment, or an investment in knowledge and insight, Classic Publications' "Me 262" is a spectacular series that should be on the bookshelf of every serious Luftwaffe aficionado.